The Asia-Pacific region experienced rapid growth as inflation remained stable and firmer global demand supported a pickup in investments. In the South and South-West Asian subregion, there is an opportunity for greater trade integration. It is the fastest-growing subregion in Asia and the Pacific, with growth accelerating in all countries with the exception of India and Sri Lanka. In Bangladesh, large infrastructure projects and new energy initiatives drove strong domestic demand and backed the country’s robust growth. This report introduces the Energy Transition Index, which looks at the performance of energy systems in 114 countries and their readiness to transition to a secure, sustainable, affordable, and inclusive future energy system. The report shows that India has been improving electricity access. It also encourages countries to benchmark themselves against comparable groups in terms of development status and energy trade balance to identify best practices and develop applicable improvement plans. This paper asserts that advances in information technology have allowed companies to know more about individual consumers. This has challenged theories that assume consumers to be identical, where goods and services that enter regional value chains are slow to respond to changing demands. The paper predicts that countries and firms will succeed depending on how they will integrate consumer information into the process of value addition. This Asian Development Bank Institute paper examines trade and the main ports around the Bay of Bengal to identify projects that will enable trade and contribute to improved maritime infrastructure. It also reviews the nature of trade and trade patterns, particularly through the Indian East Coast Corridor study. The paper develops further strategic options for seaport adjustment around the Bay of Bengal to support trade evolution, policy assessment, and other constraints. This paper examines the impact of optimal gas pricing policy using a general equilibrium model for the Bangladesh economy. It estimates the opportunity cost of underpricing or subsidizing gas in Bangladesh. It further explores the potential impacts of an increase in investment on social and physical infrastructure using the social accounting matrix multiplier model. The results reveal that Bangladesh is losing a significant development opportunity due to its gas subsidy. Calculations using a dynamic computable general equilibrium model suggest that withdrawal of the gas subsidy along with increased investments in physical and social infrastructure would lead to positive macroeconomic and sectoral effects in Bangladesh. As India works toward increasing the use of renewable energy across the country, unsubsidized renewable energy remains 52-129% more expensive than conventional energy and needs policy support. This joint publication by the Climate Policy Initiative and Indian School of Business weighs in on federal policies that can provide a solution to India's renewable energy challenge, and asks whether existing support policies are the most cost effective. Various policies are assessed, in light of the different criteria federal policymakers consider. Existing federal policies are compared with a recommended class of debt-related federal policies using a suggested framework. The study concludes that long-term, debt-related policies are more cost-effective. The research also presents viable short-term policy options. This report discusses climate change as a problem with domestic and international dimensions that intersect in complex ways. It focuses on the main players - including government, private sector, and civil society - by attempting to understand their influence in shaping climate change within India. Wind and solar sectors are highlighted as renewable energy is an important part of the energy mix and there has been remarkable activity in these sectors in recent years. The case studies describe key discourse and perceptions influencing renewable energy policy and the central questions shaping climate policy in India. 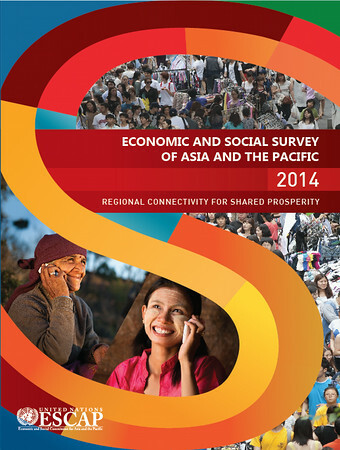 This joint ADB-ADBI study focuses on how improved physical connectivity (infrastructure) and associated institutional connectivity (software) can enhance more effective economic integration between the two subregions. The report reviews economic ties, identifies issues and constraints, and explores better connectivity and closer economic integration. It also examines major developments in South Asia-Southeast Asia trade and investment, economic cooperation, role of economic corridors, and regional cooperation initiatives. Energy efficiency is often defined as delivered energy service per unit of energy supplied into a system. Among the range of technology options that exist to provide energy service, energy efficiency approaches are the most cost competitive.